Yes, yes, yes! 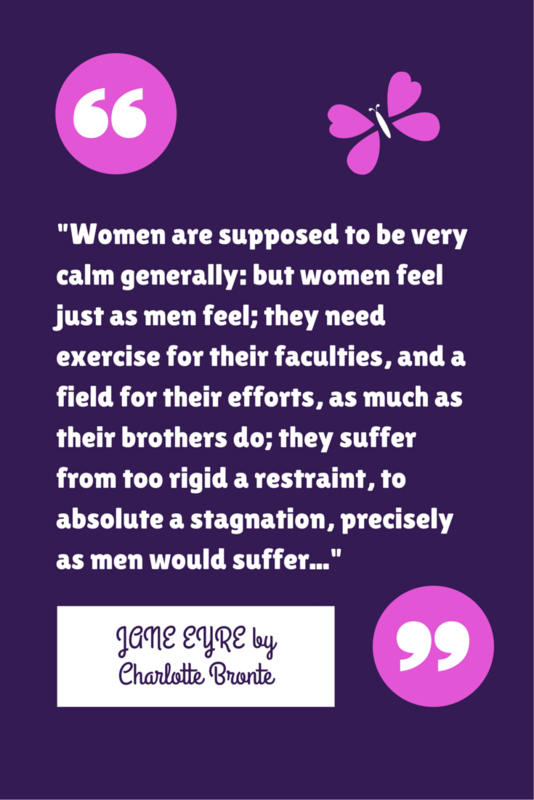 Score one for equality, courtesy of the lovely Charlotte Bronte in her classic novel Jane Eyre. I adore Jane because she is incredibly independent and not afraid to stand up for herself and what she believes in. Passages like this are sprinkled throughout this novel, which really surprised me. This book was published in the year 1847- over 150 years ago!! If Charlotte Bronte had these thoughts and was willing to publish them, I wonder how many other women also felt like this? This quote is very telling of just how long women have been fighting for equality. Although we have made amazing strides since then, we certainly still have some work to do. But we can get there eventually! Jane Eyre is such a feminist read it’s unbelievable. The first line rocks! The thing is though that feminism, and feminist ideas, fights for equality, have been around for centuries (and I reckon since the beginning of time). It just became apparent in different ways I guess.